On the basketball side of things, the New York Knicks continue to be a nauseating mess and the owner is throwing people out just for giving unharmful opinions. Meanwhile, on the football side of things, New York Giants fans have seen their old worst nightmares come back to haunt them in the NFC East as Jason Witten rejoins the Cowboys, Desean Jackson rejoins the Eagles, and Landon Collins spites his old team by signing with their division rival Washington. Just when the New York sports fan, especially of the Giants, thought it couldn’t get any worse, it did. Shortly after deciding not to tag star safety and team captain Landon Collins, allowing him to walk away and sign a big contract with the Redskins, Giants GM Dave Gettleman has made yet another move that is both unbelievable and surely leaving Giants fans everywhere disgusted, if not also questioning his sanity. Per Adam Schefter of ESPN, the Giants have agreed to a deal to send star wide receiver Odell Beckham Jr to the Cleveland Browns in exchange for safety Jabrill Peppers, the 17th overall pick in the 2019 draft, and one of the Browns’ third round selections. The trade comes nearly months after the Giants gave Beckham a new contract worth $95 million, $65 million of which was guaranteed, weeks after Gettleman told reporters at the NFL Combine that the Giants “didn’t sign Odell to trade him”, and days after the team sent defensive end Olivier Vernon to Cleveland. Now, with free agency fully commenced and the Giants barely making a splash to fix the real problems within their roster, those in the Giants’ fanbase and the media are left to question whether Gettleman is the man to bring the Giants back to prominence. 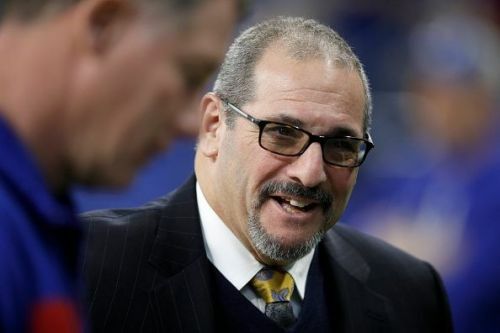 Upon arriving to the Giants following a GM stint in Carolina, Dave Gettleman came in as 'the man with the plan' but so far it feels like that plan has yet to be discovered, partly because Gettlemen is so unopen with the media in matters regarding the team. With a full draft under his belt, he has pretty much failed to mend the gaping holes in the Giants’ roster, besides the undeniable selection for running back phenom Saquon Barkley. He has let talent like Landon Collins walk for nothing in return after other teams have previously expressed interest in trading for him which could have landed the Giants at least some type of asset. The Giants have also struggled with a lack of cap space, especially this offseason with the cap barely scraping $29 million, yet he’s spent some of that money on players like quarterback Alex Tanney, who will most likely never see the field as a Giant during the regular season, with or without Eli Manning. To top it all off, he has been extremely dishonest with the media and the Giants fan base and has traded a generational talent to a newly powerful force in the NFLfor insufficient change. With that being said, the New York Giants are clearly in a house cleaning and rebuild period. Possibly the biggest passing threat for the Giants in recent history is gone, leaving guys like Barkely, Sterling Shepard and Evan Engram to pick up the slack. Gettleman’s primary objective is to rebuild the Giants team within a couple seasons, but with an impatient fanbase like New York has, that isn’t going to cut it. Giants fans are over seven years withdrawn from the Super Bowl 46 victory over New England, and they are not willing to wait any longer than they already have to see their team compete for the title. 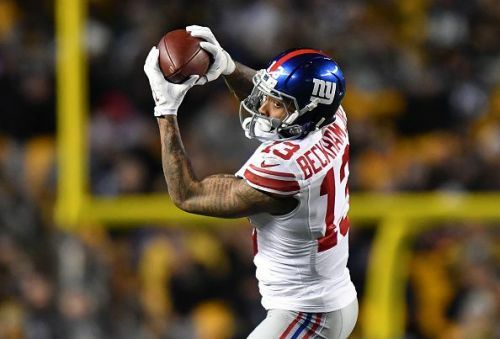 They especially don’t want to see rare talents like Odell Beckham Jr get traded with the hopes that a version 2.0 is brought up within the next few drafts. It would not be surprising to see sentiment continue to turn against Gettleman as the days following the blockbuster trade roll on, and to see fans demand that he be removed from office before he pulls the Giants any further into the wrong direction.